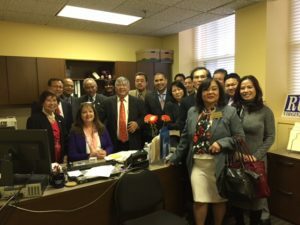 This annual business summit provides a non-partisan political platform engaging state and national legislators in informing the VACC members, the AAPI small businesses’ on legislative issues impacting businesses, Asian American Pacific Islander communities, and Virginia’s future growth. The Summit theme is ” Leadership In Action “. Because we offer innovative non partisan educational programs to inform businesses on federal and state legislative agendas affecting Virginia’s competitiveness, everyone will benefit from attending this Summit. Many Sponsorship-Advertising opportunities available. Contact: Ms My Lan Tran at : aabac@aabac.org – Tel 804 502 8081.